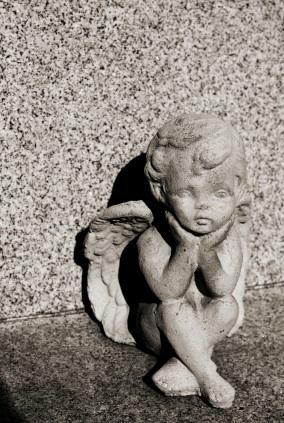 If you've been asked to give a eulogy for a baby who died of SIDS, keep in mind you are memorializing the short life of an infant who died very suddenly. Family members and close friends are probably still in shock and very grief-stricken over the loss, so choose the words used to eulogize this child wisely. Sudden Infant Death Syndrome (SIDS) is the unexpected and sudden death of a child under the age of one. The cause is unknown, and the death usually occurs when the baby is sleeping. This type of child loss usually leaves the parents feeling extremely vulnerable and guilty, as no explanation of the infant's death is usually ever found. If applicable, talking with the family's pastor or funeral director; it is very likely they had to go through a baby's funeral before. If you are unable to complete the eulogy for emotional reasons, make sure you pass it off to a trusted friend or relative. The person presenting the eulogy should remain composed. When delivering the eulogy, keep your words simple. Don't make it a long speech, but rather a conversation you are having with the congregation. Make sure the parents have a clean copy of the eulogy and make copies available for other family members..